Frankfurt Am Main-Saalhof-Ansicht vom Eisernen Steg by Mylius - Own work. Licensed under CC BY-SA 3.0 via Commons. Frankfurt am Main is recognised nationally and internationally as a global city located in the heart of Germany and Europe. It is a major air, rail and highway transport hub as well as the largest financial centre in continental Europe, ranking among the world's leading financial centres. Tourism plays a key role in Frankfurt. Most travellers to Germany from the overseas markets enter via Frankfurt or Munich. It is also home to the fifth largest exhibition centre in the world (MesseFrankfurt ) which plays host to the world’s largest book, auto and music exhibitions. 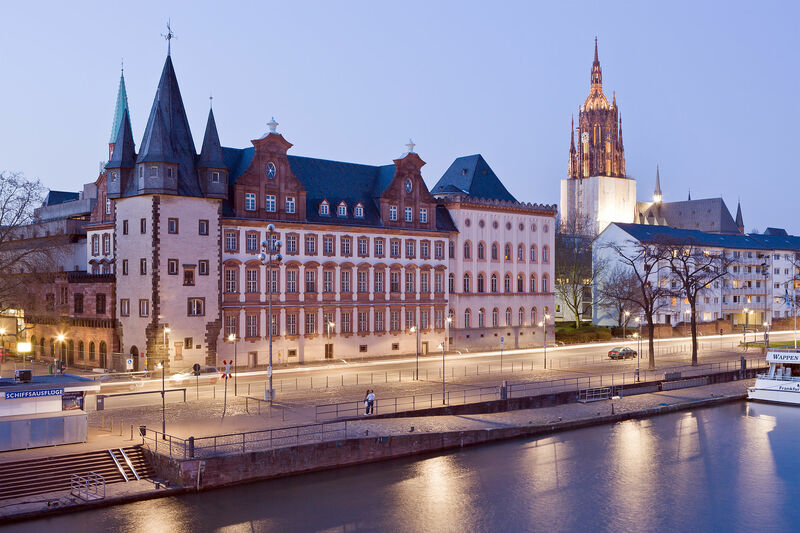 Frankfurt is also home to numerous museums, galleries, historical sites, shopping centres, restaurants, Opera Houses, cafes and great entertainment venues. The Frankfurt Tourist and Congress Board is the primary point of contact for visitors of Frankfurt am Main. The Frankfurt Tourist and Congress Board is the marketing company for the city of Frankfurt am Main relating to tourism and conventions. It is the board’s responsibility to promote a positive image of Frankfurt around the world. The Board has recognised that the demographics of the world are changing and that older people and people with disabilities cannot be ignored in promoting Frankfurt as a tourist destination. With this in mind, one of the Board’s strategic objectives is to make the city’s touristic offers fully accessible to people with disabilities. The Tourist and Congress Board has been working on a number of accessibility initiatives mainly focused around the ‘Frankfurt am Main barrier-free’ Brochure which was launched in 2012. A case study conducted by ENAT and Partners for the European Commission explores the work carried out by the Tourist and Congress Board and highlights how the Board is promoting Frankfurt as an international accessible city, increasing awareness amongst service suppliers, contributing to the improved accessibility of Frankfurt and how it is becoming one of leaders in promoting barrier free travel within Europe. Download the Frankfurt Accessible Tourism Case Study in PDF format, produced by ENAT and Partners for the European Commission (2015).